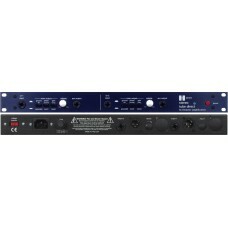 The H Series Tube Direct (HDI-1) is a versatile new addition to the Demeter line of professional tube audio equipment. Demeter Amplification, the originator of the first commercially available Tube Direct Box has taken the technology to a new level with this innovative product incorporating the same tube driven ultra high impedance input (27megohms) found in the original Tube Direct (to prevent instrument pickup loading) and a new balanced line level output section. 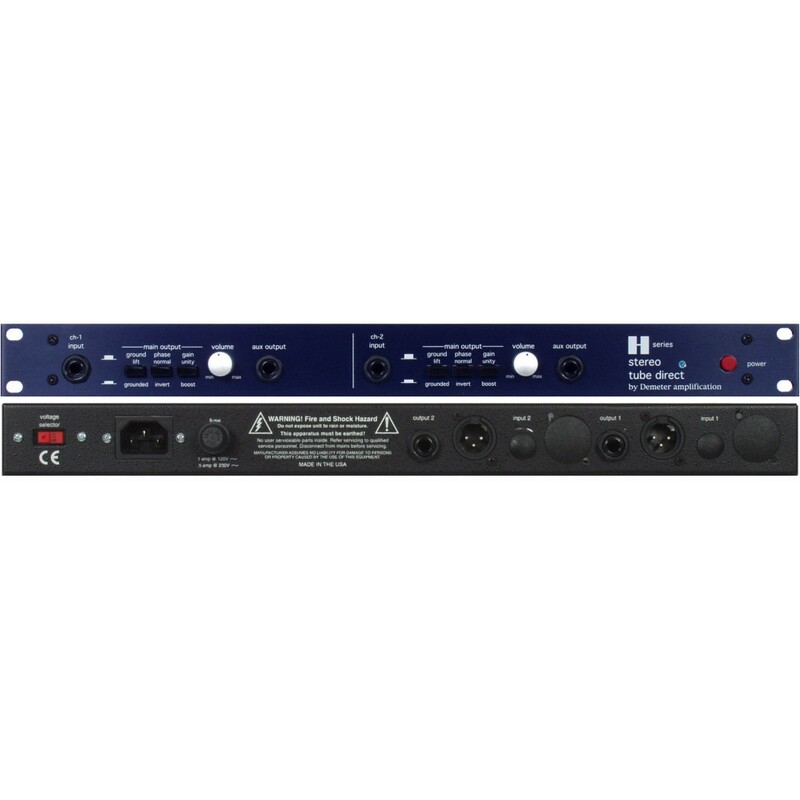 The unit can be used as both line level direct instrument input or as a line level driver to add tube warmth to line level digital interfaces. The front panel features two independent channels, with seperate 1/4" inputs, ground lift, phase preset, unity gain (+ 6dB with balanced output) and a tube driven (cathode input plate output) boost mode with 20dB of boost controlled by a continuously variable volume control and a unity gain low impedance tube driven output to drive external instrument amplifiers or effects. The rear panel features seperate TRS and 3-pin connectors for each channel. As with all H series units, the power supply is fully regulated (for low noise) supplying 220v B+ to the tubes. Hand built in the U.S.A. with the finest components available.